Review Where does the dividing line between netbooks and notebooks lie? Is an 11.6in screen small enough to dismiss any ideas of true notebook status? Conversely, does having a DVD rewriter lift a portable forever out of netbookdom? 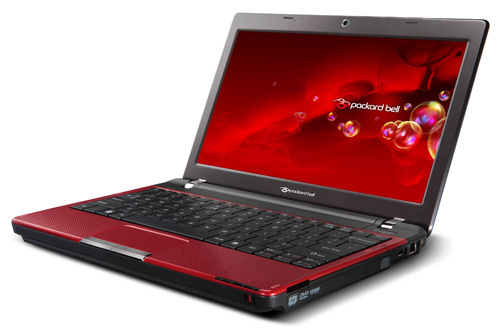 Packard Bell's Easynote Butterfly XS: flighty? For those who want an ultra-portable, but aren't keen to give up an optical drive, Packard Bell’s EasyNote Butterfly XS could be a good halfway house. It's around 30 per cent bigger than a typical 10in netbook. It weighs around 1.5kg, so it's heavier than most, but still very portable. 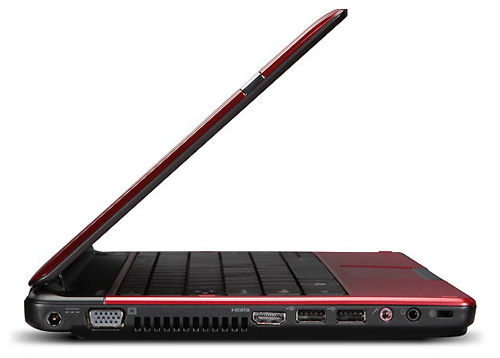 Packard Bell has chosen to use red LEDs for most indicators and has, unfortunately, extended this to the colour of the legends on all the dual-function keys, making them near-impossible to read under anything other than full overhead lighting. The touchpad is integral with the top surface of the machine, though slightly recessed. In use it’s sensitive and supports multi-gesture movements under Windows 7. The 11.6in, 1366 x 768 display uses LED backlighting, which cuts power use and still gives bright, natural colours. Even dimmed on battery power, it’s still bright enough to view comfortably unless picnicking in the Kalahari. Hands On Touchscreens? Who needs 'em?